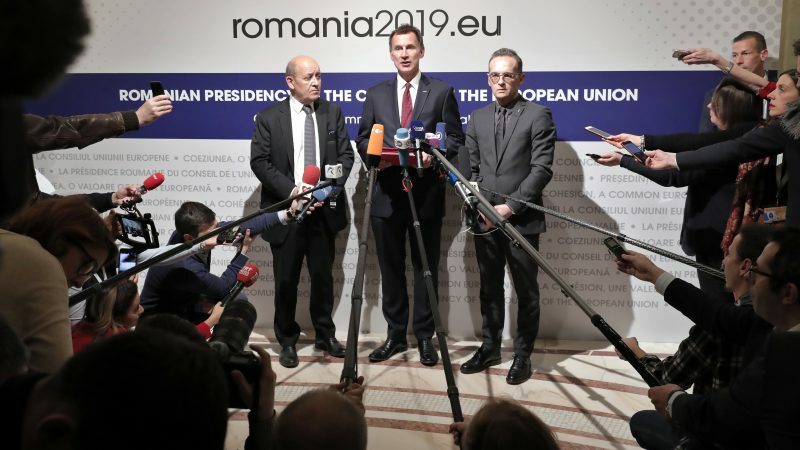 The three countries – the European signatories to the 2015 deal that curbed Tehran’s nuclear ambitions in return for sanctions relief – launched the device, which has been in preparation for months, at a meeting of EU foreign ministers in Bucharest. Iran cautiously welcomed the news as a “first step” but US officials dismissed the idea that the new entity would have any impact on efforts to exert economic pressure on Tehran, and fired a fresh warning at anyone thinking of trading with the Islamic republic. While the new institution, called INSTEX – short for Instrument in Support of Trade Exchanges – is a project of the three governments, it will receive the formal endorsement of all 28 EU members. The company was registered in Paris on Tuesday with an initial €3,000 in capital and a supervisory board with members from France and Germany, and chaired by a Briton. “INSTEX will support legitimate European trade with Iran, focusing initially on the sectors most essential to the Iranian population – such as pharmaceutical, medical devices and agri-food goods,” the foreign ministers of Britain, Germany and France – Jeremy Hunt, Heiko Maas and Jean-Yves Le Drian – said in a joint statement. Tensions between the United States and the European Union over Iran soared into the open Tuesday (25 September) after the Europeans announced plans for a legal framework to preserve business with Tehran and evade new US sanctions. In the longer term, INSTEX aims to be open to third countries wanting to trade with Iran, the statement said – an ambition unlikely to please Washington. Iran’s deputy foreign minister Abbas Araghchi hailed INSTEX as “the first step within the set of commitments the Europeans have made to Iran” but said that to be of any value, it must allow trading of sanctioned goods. EU diplomatic chief Federica Mogherini, who has led the bloc’s efforts to save the Iran nuclear deal, also welcomed its creation. INSTEX is not yet operational and needs Iran to set up a parallel structure of its own, a French government source told AFP – something which may take some time to complete. While it is aimed at small and medium sized companies, the French source said it would send an important message to Iran about Europe’s commitment to keep the nuclear deal alive. For some in the EU, INSTEX represents the start of a European fightback against Washington’s swingeing extra-terrorial sanctions – which are enabled by the dollar’s role as the world’s dominant reserve currency. Washington has warned the EU against trying to sidestep its sanctions on Tehran, while the Europeans – along with the deal’s other signatories Russia and China – say Iran has not broken its side of the nuclear accord and should be allowed to trade. The UN atomic agency has certified Iran’s compliance with its obligations 13 times and even the head of the CIA said this week that Tehran was abiding by the accord – drawing a furious response from Trump. 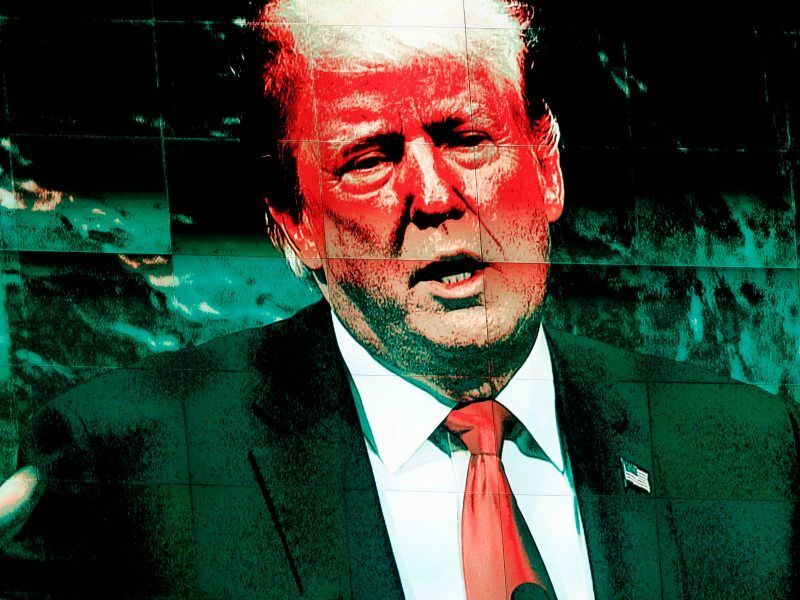 Joseph Giordono-Scholz, spokesman for the US embassy in Berlin, insisted INSTEX would not undermine America’s economic campaign against Tehran. 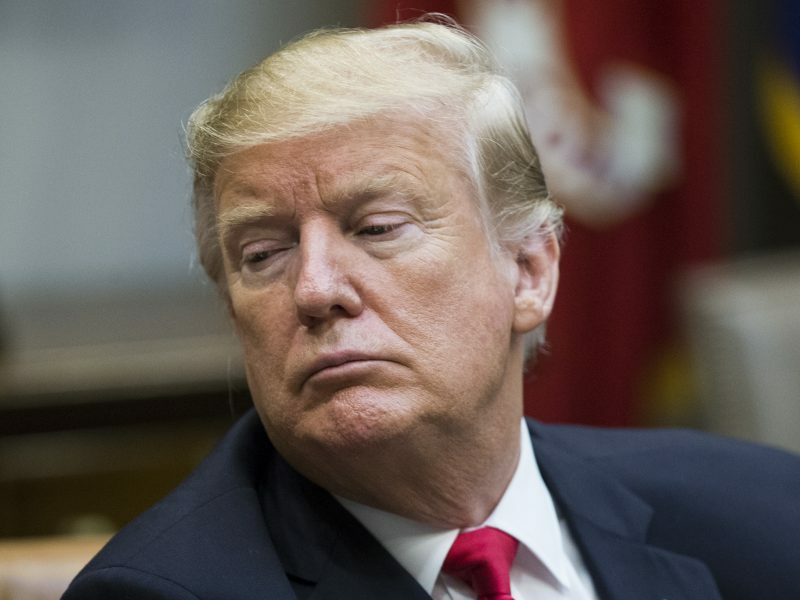 “Entities that continue to engage in sanctionable activity involving Iran risk severe consequences that could include losing access to the US financial system and the ability to do business with the United States or US companies,” he said. New US sanctions have largely succeeded in persuading European companies to abandon business with Iran, and Washington said it did not expect the EU effort to change that. “We do not expect the SPV will in any way impact our maximum economic pressure campaign,” Giordono-Scholz said. The launch of INSTEX comes with EU countries growing increasingly concerned about Tehran’s ballistic missile programme, as well as its human rights record, its interference in Middle East conflicts and recent attempted attacks against opposition groups in Europe. EU countries have been trying to agree a common statement on Iran covering the full spectrum of concerns, but so far they have struggled to reach consensus. 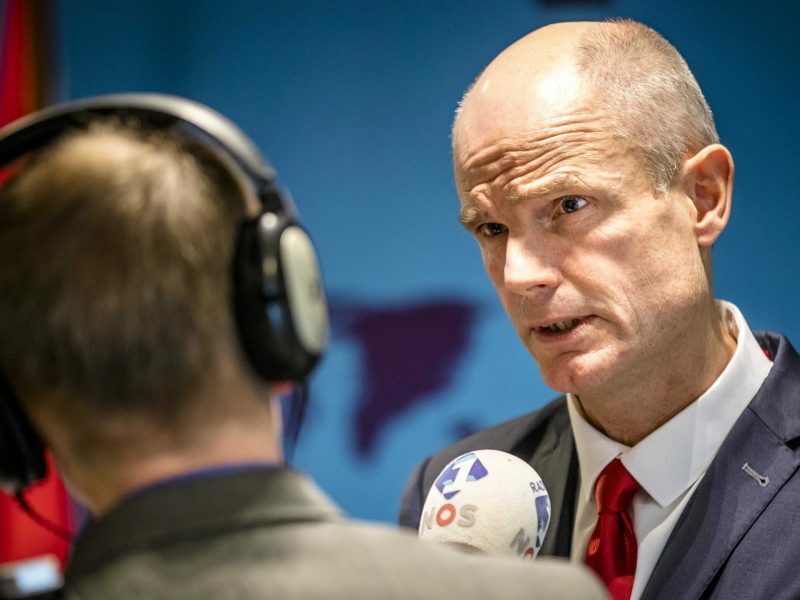 The EU hit Iran’s intelligence services with sanctions on Tuesday (8 January) after accusing Tehran of being behind plots to assassinate regime opponents on Dutch, Danish and French soil.